Magical Unicorn Decor for Your Home! If you also LOVE unicorns I am happy to tell you you CAN find amazing unicorn decor for sale as well! I found many things ‘unicorn’ for home! 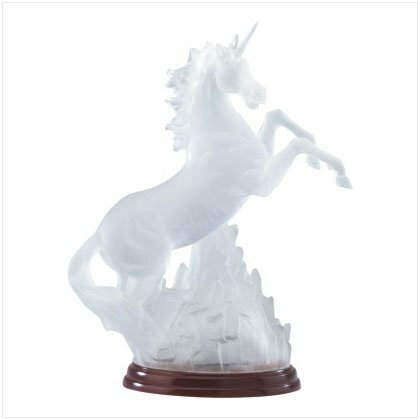 From unicorn statues, sculptures and figurines to cool and fun unicorn wall decals, posters, unicorn lamps, bedding, shower curtains and more! Let’s go find some unicorns today! 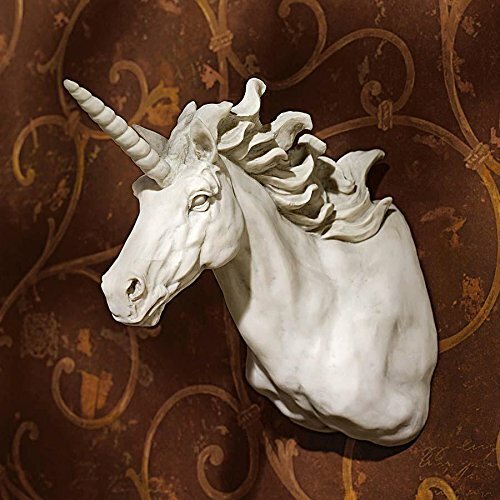 **How cool is this unicorn wall sculpture?? Here is what I found so far! Can you imagine having your very own unicorn right there in your garden or porch? 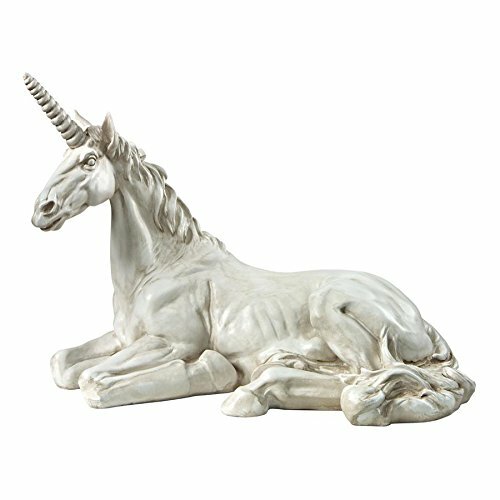 This is an amazing resting unicorn hand-painted statue for sale! He is beautifully sculpted and his details are gorgeous! What a perfect way to create your very own ‘magical garden’! 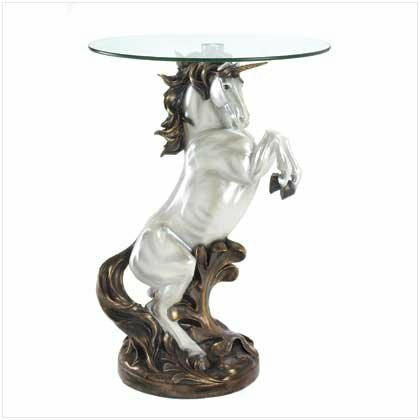 This is a stunning looking and very unique unicorn accent table for sale! It has a nice tempered glass top and it is very well-detailed. It is perfect to have right next to your couch or armchair in the living-room! The price is fair and the size is perfect! A very cute, very cool and very affordable white unicorn shaped light for sale! It also stands about 10 inches high. 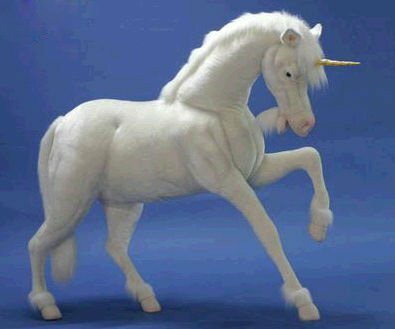 There is nothing like a gorgeous life-sized plush unicorn to have in your bedroom, isn’t there? Needless to say the kids are gonna go crazy with him! He stands 59 inches tall! 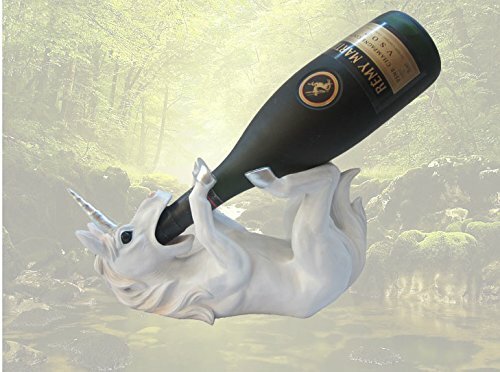 If you are looking for a fun unicorn themed housewarming gift idea, look no further! He can hold wine pretty well! 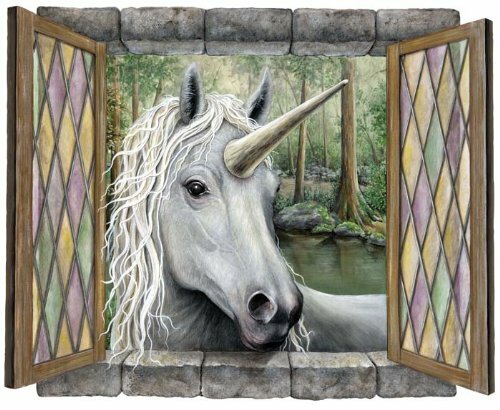 How about having a beautiful unicorn ‘peeking’ from his magical forest into your living-room every day? He is very realistic and will transform your room into a truly magical place to be! 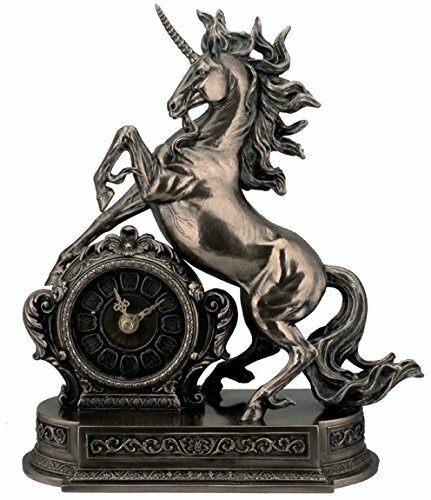 *Stunning Unicorn Cold Cast Bronze Figurine Clock! What a stunning bronze unicorn clock figurine for sale! Perfect to have on your end table or bookshelf! Stunning Prancing Unicorn Round Area Rug for Sale! 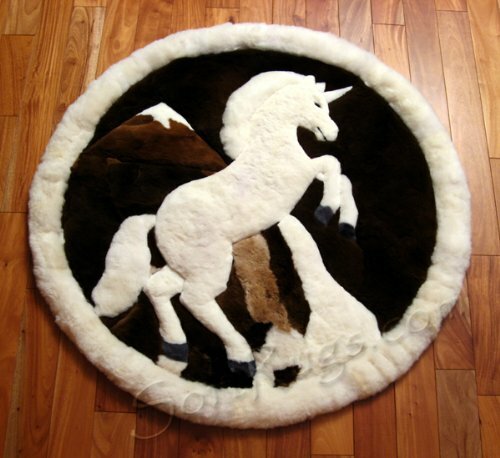 Even though there is only one left, I had to show you this gorgeous unicorn round area rug for sale! It is made from 100% alpaca fur pelts from Peru! I have never seen one like this before! Another stunning unicorn are rug for sale! Perfect to have in your kid’s bedroom, kitchen, or by your front door! 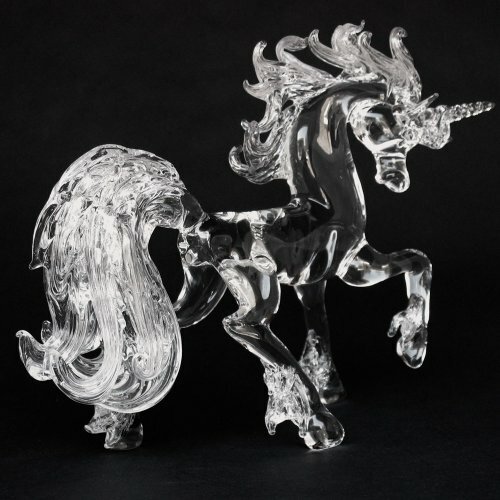 Have you ever seen a crystal unicorn before? Now your job is to find the perfect spot in your home for him! Prepare to see beautiful rainbow colors sparkling everywhere! 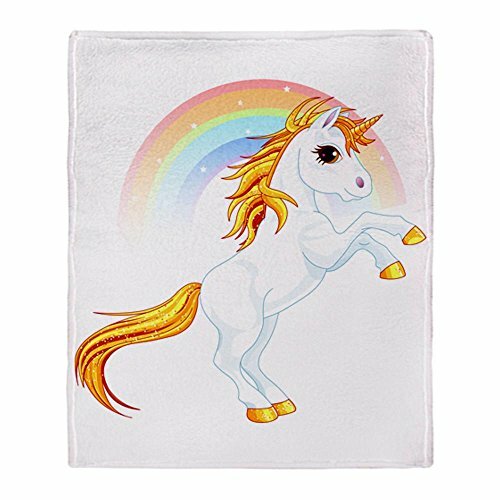 This is a very cute unicorn soft fleece throw blanket for you to have in your favorite reading chair, bed or couch! Let this adorable unicorn keep you nice and warm while you read your favorite book or watch your favorite TV show! 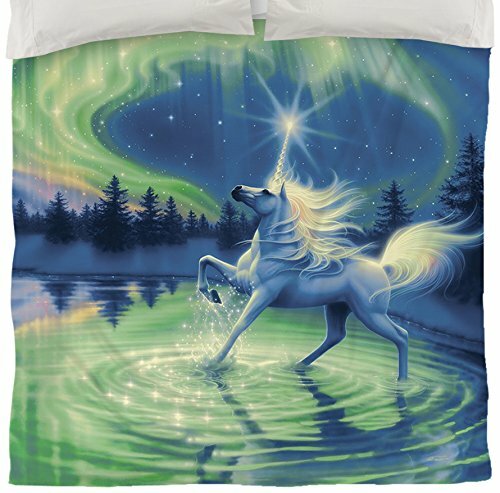 How about having a magical night every night sleeping under this majestic king size unicorn duvet cover? 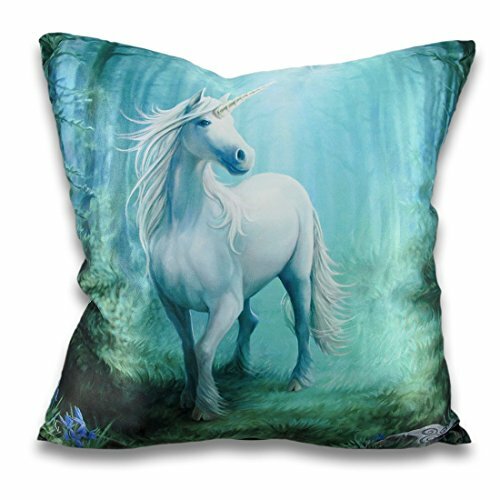 This is one of the most beautiful unicorn throw pillows around! It is a gorgeous white unicorn walking through a magical forest at night! The price is fair and you can get two and place them on your sofa! 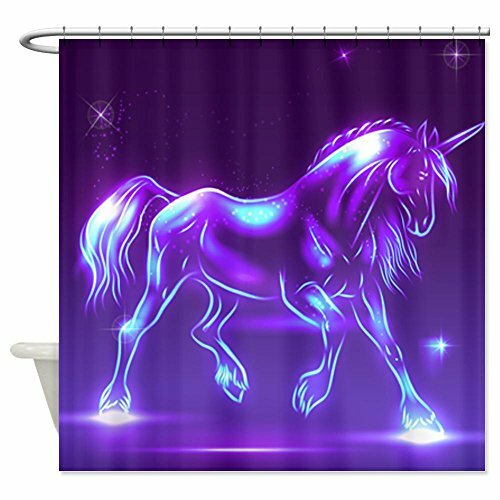 And now, to complete your gorgeous unicorn home decor, how about adding a beautiful glass unicorn print purple shower curtain to your bathroom? 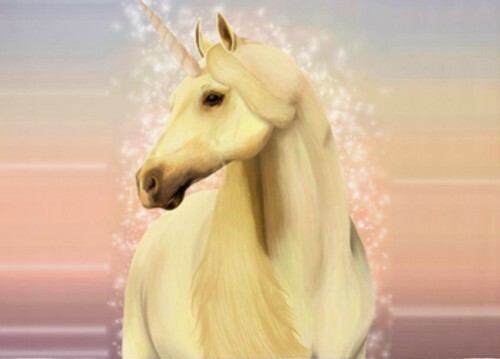 *I hope you enjoyed my selections of unicorn decor from here!